As wars rage across the globe, exiled rebels have found a home away from home in Nairobi. Here, they are safe. Mostly. The gruesome daytime murder of Jean De Dieu Kabura on New Year’s Day 2016 went unnoticed by most Kenyans. A member of the opposition Mouvement pour la Solidarit et le Dveloppement (MSD) party, Kabura was found on his dying breath in an open field on Kinyanjui Road. He had multiple stab wounds in his upper body, and injuries on his head. Kabura fled his native home of Musaga in Bujumbura and settled in Kawangware where he lived in relative obscurity. His party, MSD, is opposed to Pierre Nkurunziza’s continued rule. He died in hospital few hours after the brutal attack. According to @iBurundi, in his last words, Kabura said he had been attacked by a “Gerard aka Butoyi.” Gerard who was later seen at the crime scene and at the hospital. MSD claimed that the Imbonerakure, the youth wing of Burundi’s ruling CNDD-FDD, was carrying out attacks on opposition members in exile. On 15th February 1999, the vehicle that was carrying Kurdish rebel leader Abdullah Ocalan from the Greek Embassy to JKIA sped off, leaving the rest of the fleet behind. A high speed chase followed on Uhuru Highway but the chase cars lost the lead car. By the time they figured out what had happened, Ocalan was shackled and blindfolded, and on his way to Turkey. Ocalan had arrived in Kenya 13 days before as a guest of the Greek Embassy. A fugitive from Turkey as leader of the Kurdish rebellion, Ocalan was a hunted man. The Turks had followed him to Syria, and across the world until he landed in Athens, which then flew him to Nairobi as they sought a solution. Pressure mounted on Kenya to extradite Ocalan so Kenyan authorities tricked him into leaving the embassy. They then spirited him right into the waiting hands of Turkish intelligence services on a chartered plane on the JKIA tarmac. 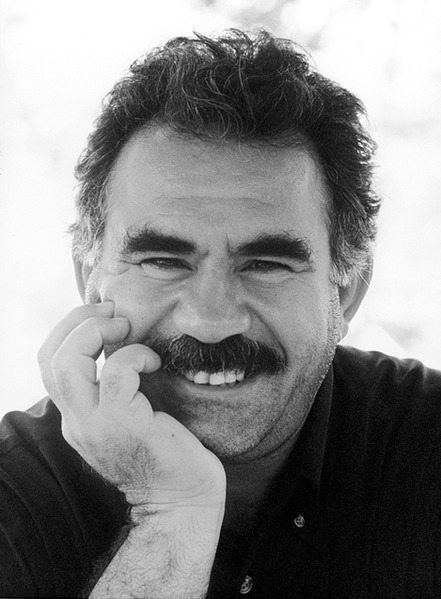 Ocalan was considered so dangerous that after he landed in Turkey, the entire island prison of Imrali was cleared to host only him, and the 1,000 soldiers guarding him. Kenya, for her role in his capture, suffered several attacks on Kenyan embassies in Europe, including at least one siege. 5. Amon Bazira: Uganda, Killed. On August 20th, 1993, the bullet riddled body of 48-year-old Amon Bazira was found on the Nairobi-Nakuru highway. Bazira, a former Ugandan minister, was leading a rebel group opposed to the government of Yoweri Museveni. Bazira had distinguished himself as a Pan-Africanist and an intelligence man. He helped topple Idi Amin’s government, and then served the next two governments as head of intelligence, then Member of Parliament and a cabinet minister. In his time as Uganda’s head of intelligence, Bazira correctly predicted a simmering genocide in Rwanda, only he never lived to see his grim prediction come true. His original proposal was to grant all Tutsi refugees in Uganda citizenship instead of expelling them back to a simmering Rwanda. After Museveni became president, Bazira tried to oust him and founded a rebel coalition. The coalition successfully expelled Laurent Kabila’s forces from the Ruwenzori, but would be their only success under him. He fled to Kenya. Some accounts have it that he was killed after leaving a meeting with Kenya’s second president, Daniel Arap Moi, at the Nakuru State House. His body was buried in an unmarked grave in Kenya, and his murder remains unsolved. 4. Seth Sendashonga: Rwanda, Killed. The murder of Rwandese exile Seth Sendanshonga on the junction of Limuru and Forest roads in Nairobi was one of the lowest points in Kenya-Rwanda relations. A moderate Hutu politician, he wrote 600 memoranda to his boss and Rwanda’s de facto president, Paul Kagame, in his few months as Rwanda’s Interior Minister. The memoranda mostly covered the use of excessive military force on Hutu civilians. He resigned in July 1994, and fled to Kenya. He had lived in exile in Nairobi before after he fled Juvenal Habyarimana’s rule in 1976. Two years after Sendashonga moved to Kenya, an attache at the Rwandan Embassy, Francis Mugabo, ambushed and shot him. Mugabo was arrested with a pistol fitted with a silencer. He had only managed to wound the exile. On 13th May 1998, a taxi driver called Ali Nasser reported to the police that someone, a David Kiwanuka, had tried to hire him to kill Sendashonga. Kiwanuka said his motive was revenge and that would pay the taxi driver Kshs. 100, 000 to do the job. After Nasser snitched, Kiwanuka disappeared. Three days later, two men opened fire on the car Sendanshonga was in, killing him and his wife’s official UN driver. Kiwanuka was arrested a few days later. He turned on his two accomplices but gave his motive as revenge, as opposed to a political assassination. Sendashonga’s wife said the slain exile had been scheduled to testify as a defense witness for a genocide suspect, and in a case against Rwanda’s excesses. In an apparent cover-up, the man thought to have overseen the hit, the acting Rwandan ambassador in Nairobi in 1998, was recalled back to Kigali, and killed in a bar a month later. Kiwanuka and his accomplices were acquitted in 2001. The death of Sendashonga led to the closure of the Rwandan embassy in Nairobi for several months. Read the full version here. 3. 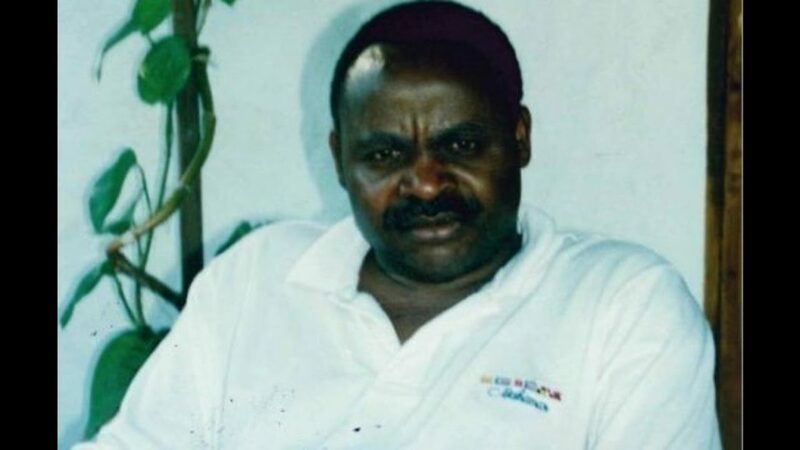 Emile Gafirita: Rwanda, Killed. The last time anyone ever saw Emile Gafirita, whose real name was Emmanuel Mughisa, he was leaving a restaurant in Dagoretti on his way to his Waithaka home. That was on November 14th, 2014. Witnesses who saw him outside said two men accosted him and talked to him in a language they couldn’t understand. They also saw him get arrested and bundled into a car. His name had been revealed to defense counsel in disclosures; and several other people who were named in the lists have died in different scenarios. Gafirita himself had sought police help a few days before, saying his life was in danger even in Nairobi. 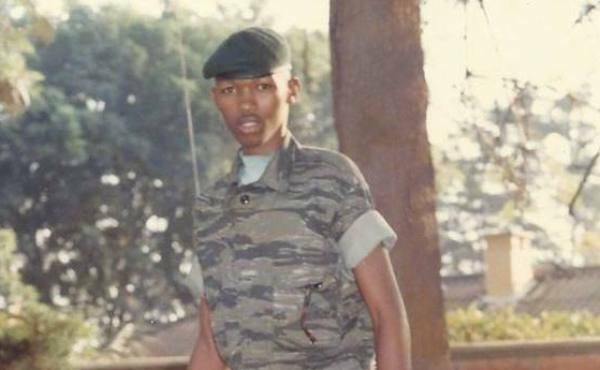 Gafirita joined Rwanda’s Patriotic Front in 1991 and served for a decade in the High Command Unit. He left Rwanda in 2009, settled in Uganda, and then moved to Kenya. He claimed that he had damning evidence that Paul Kagame and the RPF hierarchy authorized the shooting of Juvenal Habyrarimana’s plane on April 6th, 1994, which triggered the Rwandan genocide Amon Bazira had predicted a decade before. According to Rwandan intelligence, however, Gafirita is hiding in South Africa. He has never been found since and if the assasination of other Rwandans in exile is anything to go by, he is long dead. There is badass, and then there was Istarlin Caruush, more famously known as Starlin Rush. A peace activist, aid worker, and one-woman demobilization force, Starlin was a force to reckon with in Somalia’s first years of turmoil. Her brother-in-law and younger brother were killed when war erupted in 1991. Starlin became a leading voice in the first peace processes, balancing her time between negotiating with warlords and setting up hospitals. Among her most daring endeavors was an attempt to negotiate the standoff between Muhammed Aideed and the Americans. You might know the aftermath of this from Black Hawk Down, the movie about the Battle for Mogadishu. Side Note: Two Kenyan photojournalists, Hos Maina and Anthony Macharia, were stoned to death, in one of the incidents before the Battle for Mogadishu. In her free time, Starlin walked straight to her enemies, looked them in the eye, and declared “I am Starlin Abdi Arush of the Habir (sic) Eji clan. Put down your gun or you will be dead by tomorrow.” With the surrendered guns, and presumably egos, she built a stockpile of her own. The 45-year-old Starlin was killed in Nairobi on October 24, 2002. She was in Nairobi attending the Somali Peace Conference as a member of the Civil Society. Her murder was ruled a robbery, but is suspected to have been an assassination. On January 25, 1976, a gorgeous 23-year-old German woman disembarked from a plane at Embakasi Airport and walked straight into a trap. She was arrested by Kenyan intelligence and interrogated by the Mossad, Israel’s foreign intelligence unit. 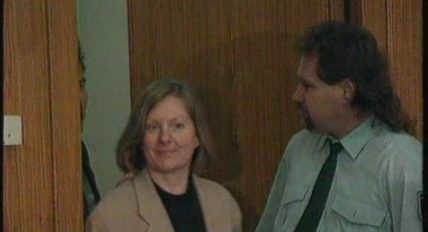 Not many know what transpired over those three days and nights but Monica Haas was released and placed on a plane back to Lebanon, and then Yemen. Monica Haas had been sent to Nairobi by the leader of Palestinian rebel group PFLP, Wadia Hadaad. Hadaad had pioneered, and wanted to escalate, the use of plane hijackings and bombings in his global campaign against Israel. Nairobi was to be the first theatre of this new MO, so he sent three Palestinians and a German couple. Their brief was to use missile launchers smuggled in through Uganda to bring down an Israeli plane landing at Embakasi Airport. All five of them were arrested in Embakasi in a car with the two missile launchers in the boot. They were secretly held at a Kenyan army base. Then they were drugged and shackled and smuggled to Israel to stand trial. When Monica Haas landed in Nairobi using a fake name, her brief was to find them, but she had no idea they had already been caught. Two things happened after Kenya and Israeli let Monica go back to Yemen. Just six months later, PFLP hijacked an Air France plane and commandeered it to Entebbe. The next year, in October, they struck again, this time hijacking a Lufthansa plane from Majorca in Spain, and taking it on a five-day journey to Mogadishu. 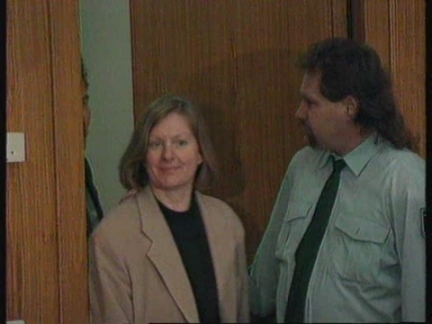 In 1996, German prosecutors charged Monica Haas with directly assisting the Lufthansa hijackers. She had sneaked the guns and grenades the hijackers used into the plane in her baby’s carrier, according to documents found in the former East Germany’s intelligence archives. There, she was identified as Monica H. She was found guilty in 1998. The entire point of the two hijackings was to demand for the release of PFLP and West German Red Army prisoners held in different countries. These included the five who had been arrested in Embakasi in 1976. In December 1980, the German couple Kenya had arrested in Embakasi was released by Israel. A week later, on New Year’s Eve, the PFLP bombed the Norfolk Hotel in Nairobi, killing 20 people. Why Do We Still Drive on the Left?